A lot of people would like to think that action movies are sort of an American thing. Nobody does violence like us. Between superheroes and Clint Eastwood characters, no one could ever make a better action movie. Two great imports from recent years include “Ong-Bak” and 2010’s “13 Assassins.” So when I was starting to hear about Indonesia’s “The Raid: Redemption” getting rave reviews, I was hoping to see something unique. For those of you who don’t know the setup (which is probably everyone, considering the $17 dollars spent on marketing this film), a SWAT-like team is sent to a 30-story apartment building where the landlord specializes in drugs and ruthlessness. Not only does he have a crazy right hand man, but the tenants of the building are also willing to take on the cops. Is it unique? Let me put it this way: as far as action scenes go, no American film of recent memory can touch this. The choreography is fantastic and the violence is brutal enough for John McClane to wince. There were several times throughout the film where an audible gasp would escape my mouth. You know those scenes in a cartoon where a character falls from a great height and hits everything possible on the way down, letting out a new grunt with each stop? That was my reaction to the fighting in this film. As for the story, it’s nothing a fan of action movies hasn’t seen before. The protagonist is a rookie cop, there’s a dirty cop along the way, and so forth. I wouldn’t say the story is too cliched, but it’s not all that original. 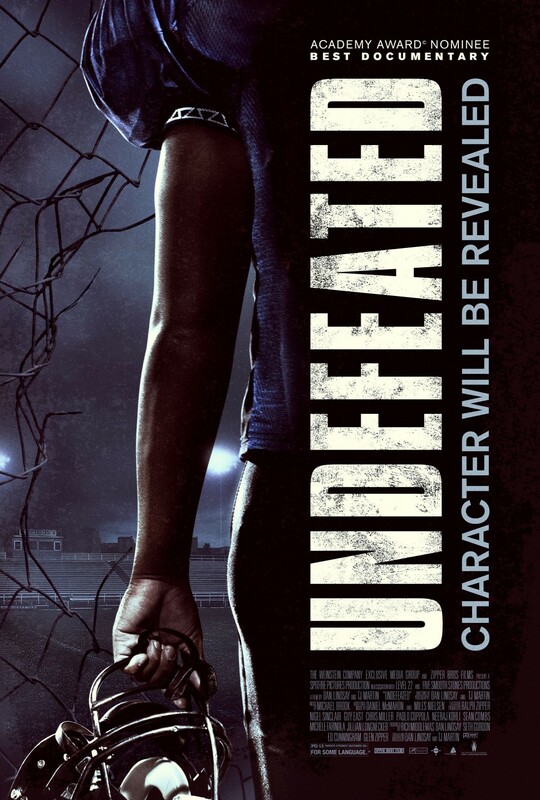 The acting is pretty good, although the bar is set pretty low when it comes to the action genre. Although the writing was just average, the story is able to develop some interesting characters like the crime lord (Ray Sahetapy) and his henchman “Mad Dog” (Yayan Ruhian). Writer/director Gareth Evans wanted this film to be a launching pad for its star, Iko Uwais, and I hope he succeeds as the future action star did very well with only his second film credit. Much like Bruce Lee or Tony Jaa, he’s got a fan for life in me. I can’t recommend “The Raid: Redemption” enough for action fans, but I will put out the disclaimer for people who are queasy around blood and violence that it has copious amounts of both. Next, I’m hoping to review Jason Statham’s “Safe” and then around this time next week I’ll be putting up my take on “The Avengers.” Hope to see you around soon. Oh, Joss Whedon. You slay me. It’s been a long time since I have seen a big commercial horror film with the guts to try something different. “The Cabin in the Woods” is different…and then some. As the title suggests, this will be a spoiler free review. You have no idea how difficult that can be with a movie like this that rides on its unexpected twists and turns. The film’s tagline “You think you know the story” suggests that a lot of people will be surprised by what actually goes down in the movie. And boy, were they. Half of my theatre was talking about how much it sucked while the rest were praising its cleverness. More on that later. The story sets out like your garden variety horror film: 5 college stereotype characters go for a weekend camping trip only to find themselves in a life or death situation where an unstoppable force is hunting them. Yawn. As moments from the trailer suggest, there is an outside force influencing the story. That’s all I’ll be sharing on that part of the story, but trust me, it’s both original and bold. I was surprised by how funny the film was. I shouldn’t have been because Joss Whedon is a fantastic writer, but I was nonetheless. When I wasn’t laughing out loud at the smart dialogue, I quietly enjoyed the satire being played out on the screen. The acting is also pretty decent, given the genre. A hammer-less Chris Hemsworth leads the cast. While I would love to talk about the things that really made me enjoy the film, I can’t without spoiling it for you. So let me just say that the film is a brilliant satire on the current state of horror in America. The cookie cutter characters and killers, the overused settings and even the pace at which these movies tend to go. The only real flaw the movie has is that it isn’t that scary. There are a few scenes here and there with a lot of tension and a half-dozen or so jumpy parts, but people looking for scares may be a tad disappointed. However, this minor inconvenience aside, there really wasn’t anything there to detract from my enjoyment of the film. Maybe a loose end here or there, but nothing big enough to really unnerve the movie universe. If you’re as tired as I am of seeing the same ole recycled horror garbage, you may enjoy this breath of fresh air that Joss Whedon and director Drew Goddard have delivered. My next review will probably be what some are calling the best action movie in years, “The Raid: Redemption.” Come back then and check it out. The most financially successful film ever made. Kind of a lot for a movie to live up to. I know, I know. With adjusted inflation, the title actually goes to “Gone with the Wind.” Then there’s the blue people over on Pandora. My point is that at one time, “Titanic” and its 11 Oscars were the benchmark for filmmaking. So when I decided to watch James Cameron’s tragic tale for the first time (save your shocked face for someone else), I tried to stay objective and not let the hype get to me. My initial thoughts going into the film were that it was a love story inspired by, but not based on, Romeo and Juliet (R – Rose/Romeo, J – Jack/Juliet). Since we’re talking James Cameron, I also expected the sinking portion of the film to be top notch. What often makes “Titanic” sound like a chick flick is the romance between Rose (Kate Winslet) and Jack (Leonardo DiCaprio). I guess guys in the audience can only take so much and by the point in the film where Rose is “flying” over the ocean, they’re practically welcoming the iceberg with open arms. I didn’t feel that the romance was too overwhelming. DiCaprio is his usual charming self and Winslet is fantastic. I was genuinely surprised that I cared about both of the characters (Winslet being my clear favorite). It usually helps when good actors are in these types of roles rather than Katherine Heigl. What I did find utterly exhausting is just how much Titanic trivia Cameron felt needed to be in the film. I lost count of how many times the word “unsinkable” left someone’s mouth. Then there are several comments about lifeboats. And ironic comments about how nothing will ever go wrong on the Titanic ever. Never. Nope, not one thing. We get it. There are also way too many characters in this 194 minute movie. I appreciated many of the smaller characters having at least SOME arc or purpose (Kathy Bates, Victor Garber and Bernard Hill mainly). How about Jack’s friends in the bottom of the ship, though? Maybe 10 minutes on screen out of a 3-hour film? Then there are the historical innacuracies with the film. Some are small, like the flashlights used hadn’t been invented and the lake that Jack talks about back home wasn’t a lake yet. Others blatantly change the entire film and are brushed aside to make room for the romantic plot. The best things I can say about the film come after the Titanic has struck the iceberg. The last hour of the film is filled with tension and suspense. Between the rising water levels, the quickly filling lifeboats and the antics of Billy Zane’s character, it’s pretty intense. The set designs of the film are also very well done. While the special effects could probably benefit from today’s technology, they are still breathtaking. 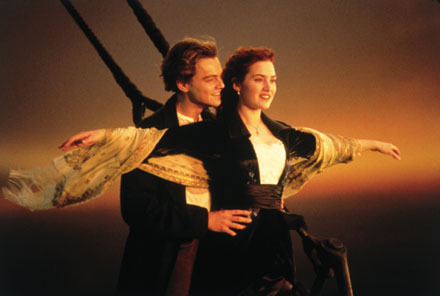 “Titanic” is far from the perfect film that some would like to claim but it is rather good. Such a complicated film of great magnitude cannot be easily put together. It may be lacking in a few areas, but a great cast and a technically sound film make it worth watching at least once. Whether you watch this film or catch a special on the History channel, take some time out of your weekend to note the great loss suffered by those in pursuit of a better life 100 years ago. In the coming days I’ll have a review up for the Joss Whedon/Drew Goddard film “Cabin in the Woods.” Come back then and check it out. Happy viewing.